Many more combos than shown! (just takin me awhile to get all the pics up!) Email me at tangledknot(at)gmail.com to inquire about others. 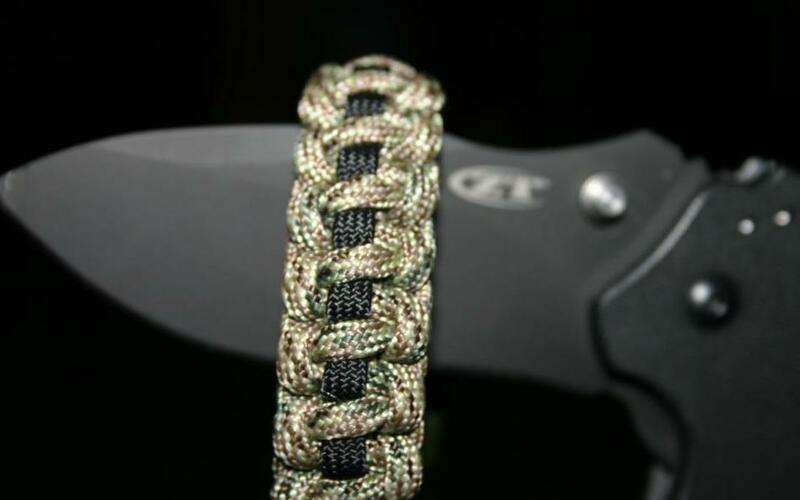 Solid colors available, as are second wrap (also known as KING COBRA bands (price slightly higher). 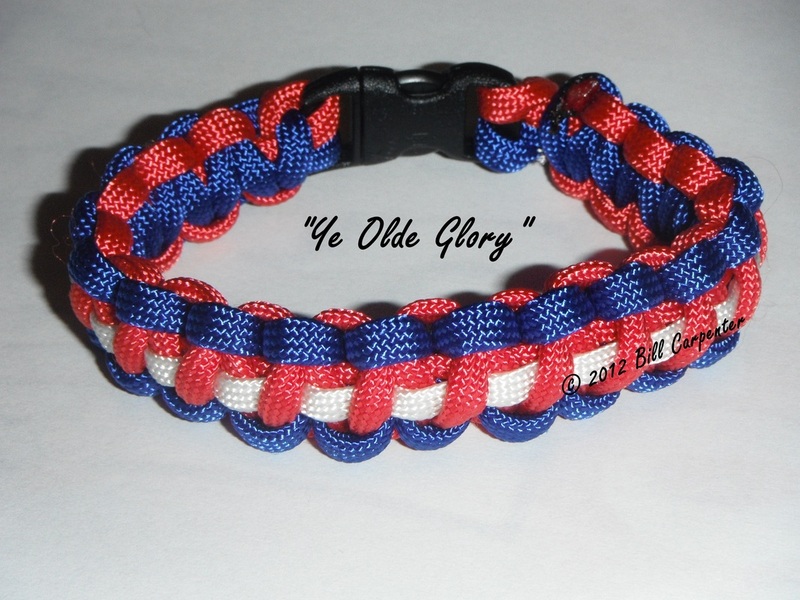 There are many other designs, limited only by ones imagination...contact me to design yours. 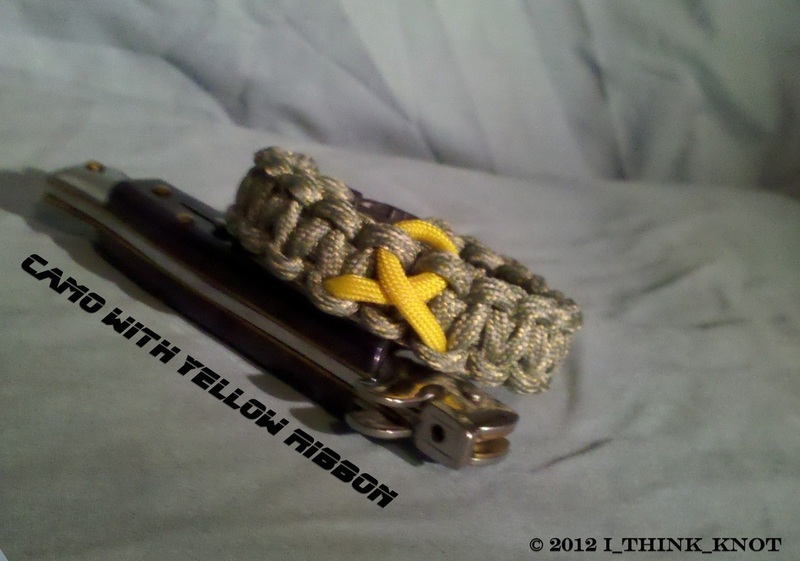 Please, upon checkout, either note on the Paypal form, or via email, your wrist measurement. This is important to avoid delays. All prices INCLUDE shipping. no hidden costs here. 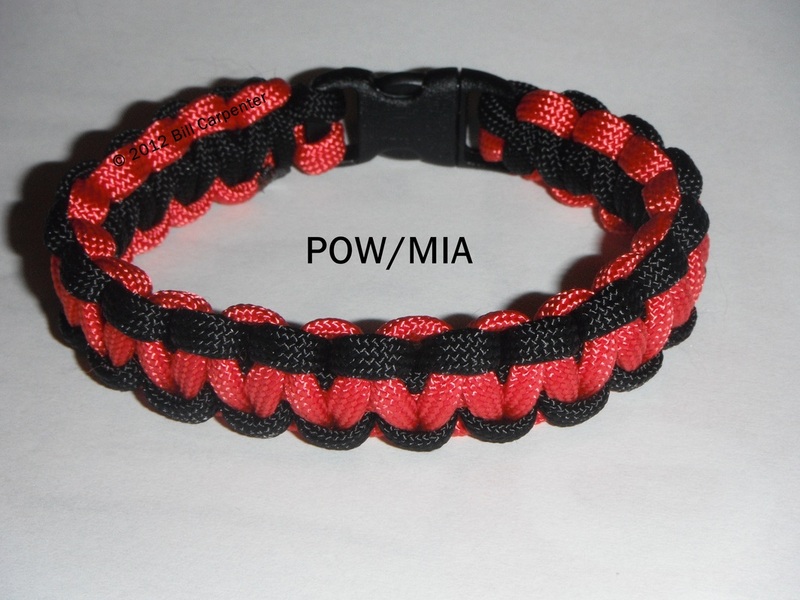 Red & Black "POW/MIA Ver 2.0"
Honor the dead...Fight like hell for the living. Pink & White "Cancer Support"